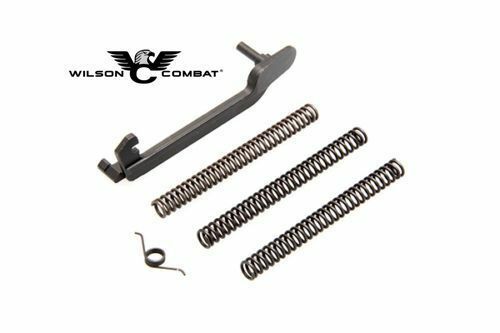 The Wilson Combat Beretta Ultimate Action Tune Kit will enhance the trigger pull of any Beretta 90/92/96 series handguns. Our re-engineered enhanced design trigger bar increases hammer arc at the point of let off for increased ignition reliability in double and single action mode and also reduces trigger overtravel. This machined, fully hardened part requires minor fitting. 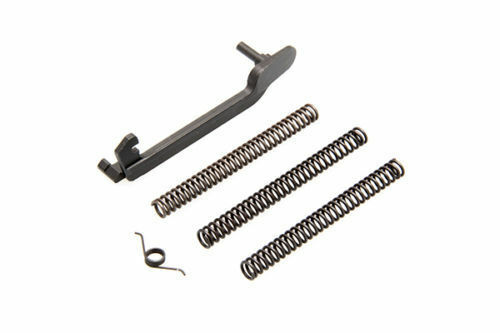 The reduced power chrome silicon hammer springs and standard power trigger return spring will hold their tension much longer than conventional factory-spec springs and the array of supplied hammer spring weights can be tailored to the ammunition and trigger pull that you prefer. 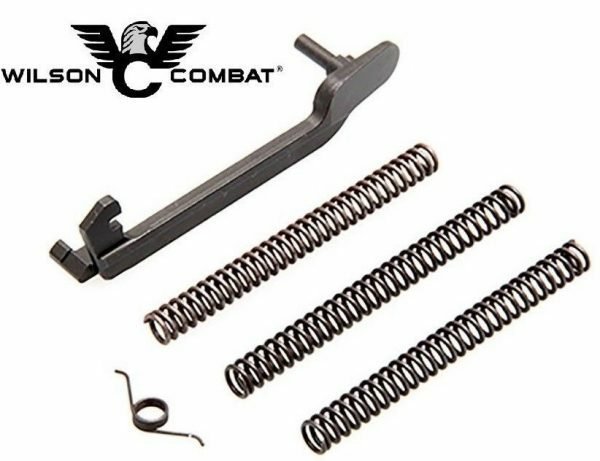 12#, 13#, 14# Chrome Silicon hammer springs, standard weight chrome silicon trigger return spring and Wilson Combat enhanced trigger bar are included. IMPORTANT: Ensure you are working with an unloaded pistol and remove magazine. 1. Remove slide/barrel assembly, grips, slide stop and factory trigger bar from pistol and instal new trigger bar. 2. After you ensure you have sufficient overtravel in single action mode you have to start removing material from the hammer arc support fitting area. Remove small amounts of material at a time and test your fit along the way to get the proper balance between overtravel and hammer arc. 3. 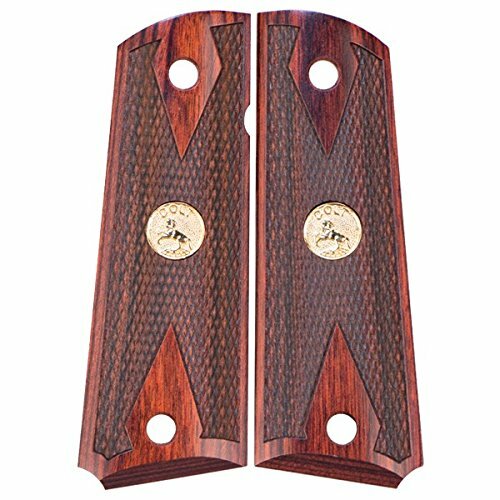 If the hammer catches while dry firing in double action mode you need to remove more material from either of the two fitting areas, but usually this means more material needs to be removed off the hammer arc support area. Adding more trigger overtravel will likewise increase hammer arc and will give you enhanced reliability with lighter hammer springs. 4. You can eliminate the overtravel stop portion of the enhanced trigger bar to maximize hammer arc and increase the energy of your hammer strike in double action mode which will in turn improve reliability with hard primers and/or lightweight hammer springs.